Read more here or email info@lucidmke.com for additional help. 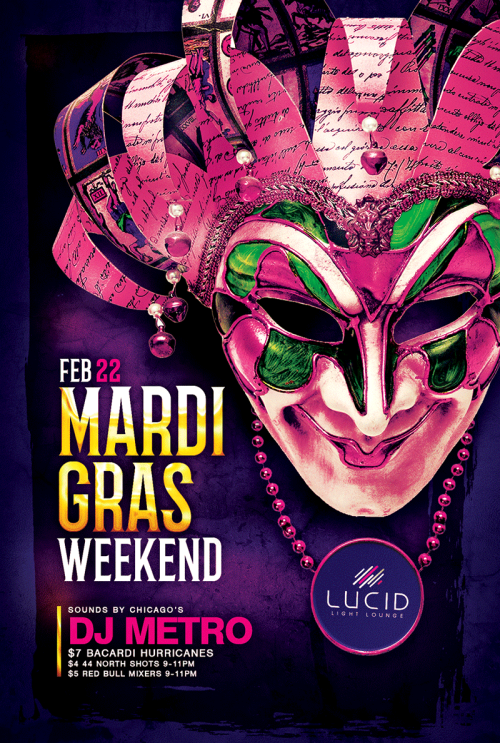 We couldn't resist so we're not going to.. Lucid Light Lounge hosts the wildest Marti Gras Weekend Party of the year a month early! Don't miss 2 of Chicago's BEST DJ's, Party Favors and $7 Hurricane Drinks ALL W E E K E N D Long!